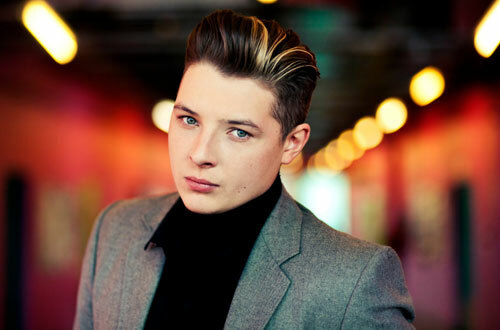 Having already scored two Number One singles (one with Rudimental and his own, former Track Of The Day, Love Me Again), John Newman heads to Bestival tomorrow (6 September), before playing a homecoming show at Victoria Hall in Settle, Yorkshire on 3 October as he kicks off his UK tour. Now he grapples with Q's 5Ws. WHO would play you in the film of your life? James Dean. WHAT are you currently working on? Just finished my debut album which set for release in October and getting ready for my first headline tour of the UK and Europe. WHY do you do that thing you do? Cause it's a rite laugh. WHERE do you see yourself in ten years? Turning on the lights at Blackpool. For more head to Johnnewman.co.uk. Q&a Billy Bragg - Life's Still A Riot: "Punk, DIY, I'm still kind of doing that..."